The Japanese authorities say radiation levels from the Fukushima Daiichi nuclear plant climbed to potentially harmful levels for a brief interval on Tuesday. Residents living within 30km (18 miles) of the plant have been advised to leave the area, or to stay indoors, and try to make their homes airtight. Experts have stressed that swift action should be able to minimise any impact on human health. What are the immediate health effects of exposure to radiation? Exposure to moderate levels of radiation - above one gray - can result in radiation sickness, which produces a range of symptoms. Nausea and vomiting often begin within hours of exposure, followed by diarrhoea, headaches and fever. After the first round of symptoms, there may be a brief period with no apparent illness, but this may be followed within weeks by new, more serious symptoms. At higher levels of radiation, all of these symptoms may be immediately apparent, along with widespread - and potentially fatal - damage to internal organs. Exposure to a radiation dose of four gray will typically kill about half of all healthy adults. For comparison, radiation therapy for cancer typically involves several doses of between one and seven gray at a time - but these doses are highly controlled, and usually specifically targeted at small areas of the body. Lowest level at which any increase in cancer is clearly evident. The first thing to do is to try to minimise further contamination by removing clothes and shoes, and gently washing the skin with soap and water. Drugs are available that increase white blood-cell production to counter any damage that may have occurred to the bone marrow, and to reduce the risk of further infections due to immune-system damage. There are also specific drugs that can help to reduce the damage to internal organs caused by radioactive particles. How does radiation have an impact on health? Radioactive materials that decay spontaneously produce ionising radiation, which has the capacity to cause significant damage to the body's internal chemistry, breaking the chemical bonds between the atoms and molecules that make up our tissues. The body responds by trying to repair this damage, but sometimes it is too severe or widespread to make repair possible. There is also a danger of mistakes in the natural repair process. Regions of the body that are most vulnerable to radiation damage include the cells lining the intestine and stomach, and the blood-cell producing cells in the bone marrow. The extent of the damage caused is dependent on how long people are exposed to radiation, and at what level. Most experts agree even small doses of ionising radiation - as low as 100 millisieverts - can increase the risk of cancer, but by a very small amount. In general, the risk of cancer increases as the dose of radiation increases. Exposure to one sievert of radiation is estimated to increase the lifetime risk of fatal cancer by around 5%. The thyroid gland and bone marrow are particularly sensitive to ionising radiation. Leukemia, a type of cancer that arises in the bone marrow, is the most common radiation-induced cancer. Leukemias may appear as early as a few years after radiation exposure. Other cancer can also result from exposure to radiation, but may not develop for at least a decade. These include cancers of the lung, skin, thyroid, breast and stomach. What are the most likely long-term health effects? Cancer is the biggest long-term risk. Usually when the body's cells reach their "sell-by date" they commit suicide. Cancer results when cells lose this ability, and effectively become immortal, continuing to divide and divide in an uncontrolled fashion. The body has various processes for ensuring that cells do not become cancerous, and for replacing damaged tissue. But the damage caused by exposure to radiation can completely disrupt these control processes, making it much more likely that cancer will result. Failure to properly repair the damage caused by radiation can also result in changes - or mutations - to the body's genetic material, which are not only associated with cancer, but may also be potentially passed down to offspring, leading to deformities in future generations. These can include smaller head or brain size, poorly formed eyes, slow growth and severe learning difficulties. Are children at greater risk? Potentially yes. Because they are growing more rapidly, more cells are dividing, and so the potential for things to go wrong is greater. Following the Chernobyl nuclear reactor accident in the Ukraine in 1986, the World Health Organization recorded a dramatic increase in thyroid cancer among children in the vicinity. 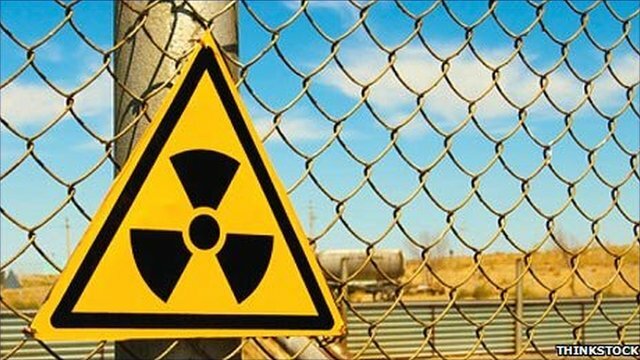 This was because the radioactive materials released during the accident contained high levels of radioactive iodine, a material that accumulates in the thyroid. What risk does Fukushima pose currently? The Japanese authorities have recorded a radiation level of up 400 millisieverts per hour at the nuclear plant itself. A sievert is essentially equivalent to a gray, but tends to be used to measure lower levels of radiation, and for assessing long-term risk, rather than the short-term acute impact of exposure. Professor Richard Wakeford, an expert in radiation exposure at the University of Manchester, said exposure to a dose of 400 millisieverts was unlikely to cause radiation sickness - that would require a dose of around twice that level (one sievert/one gray). However, it could start to depress the production of blood cells in the bone marrow, and was likely to raise the lifetime risk of fatal cancer by 2-4%. Typically, a Japanese person has a lifetime risk of fatal cancer of 20-25%. Prof Wakeford stressed only emergency workers at the plant were at risk of exposure to such a dose - but it was likely that they would only be exposed for short periods of time to minimise their risk. The level of exposure for the general population, even those living close to the plant, was unlikely to be anywhere near as high. How can the Japanese authorities minimise the cost to human health? Prof Wakeford said that provided the Japanese authorities acted quickly, most of the general population should be spared significant health problems. He said in those circumstances the only people likely to be at risk of serious health effects were nuclear workers at the plant or emergency workers exposed to high levels of radiation. He said the top priority would be to evacuate people from the area and to make sure they did not eat contaminated food. The biggest risk was that radioactive iodine could get into their system, raising the risk of thyroid cancer. To counter that risk, people - in particular children - could be given tablets containing stable iodine which would prevent the body absorbing the radioactive version. The Japanese already have a lot of iodine in their natural diet, so that should help too. How does Fukushima compare to Chernobyl? Professor Gerry Thomas, who has studied the aftermath of the Chernobyl disaster, said: "It is very unlikely that this will turn into anything that resembles Chernobyl. "In Chernobyl you had a steam explosion which exposed the reactor core, which meant you had a lot of radiation shooting up into the atmosphere." Prof Thomas said although the Chernobyl disaster had led to a rise in thyroid cancer cases, the only people affected were those living in the immediate area of the explosion and who were young at the time.